EAR 825 EQ-Dont quite understand......? I understand the EQ part of the circuit-but not sure how it is implemented into the circuit-this is basically a pultec network is it not? Why are the transformers neccessary? are the middle 3 triodes and associated components a discrete op-amp? Ive been trying to work out how it works (with my limited knowledgfe) but....alas!! Re: EAR 825 EQ-Dont quite understand......? 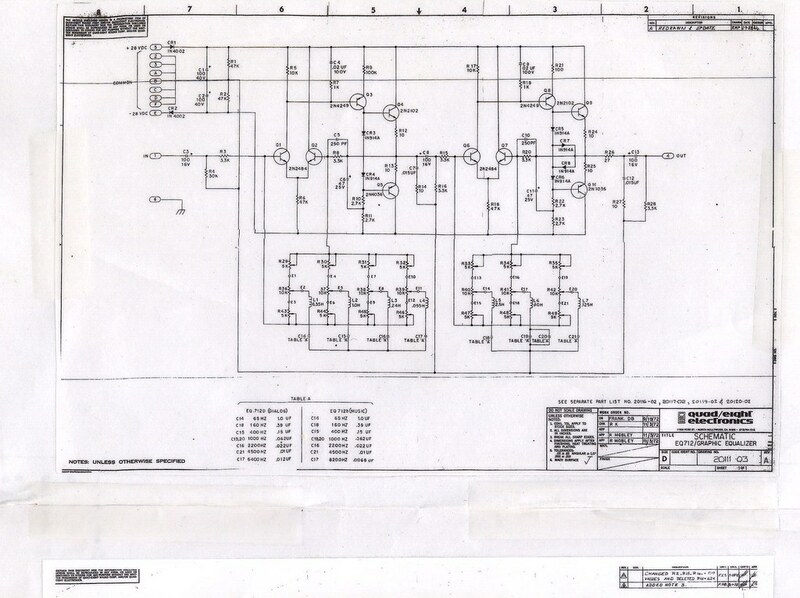 Without a schematic no one will likely have a clue as to how to answer your questions . . .
Not at all pultec-like or passive - it's a simple boost/cut L/C gyrator circuit halfway inside the feedback loop of an amplifier. More or less like a standard 1980's car-radio graphic eq, but with a tube amplifier. Aaaah! !.the mists are clearing!! I see now what you mean-just confused by the complexity of the EAR schematic. Oh yeah-thanks to Pucho182 also! Any ideas on suitable iron for this? I'm guessing step down on the input and a similar step up on the output. Looks like there's feedback taps on the interstage and output transformers. did someone ever actually successfully clone this EQ? I don't think so. And after all, it's still in production, I think.